This section contains methods and perspectives to aid non-profit organizations in pursuing major gifts. Volunteers are often told to 'cultivate' a potential donor before soliciting their gift support. What does that mean? Fundraising volunteers, while earnest in their intentions, at times may be reticent to discuss consideration of a gift commitment with a prospective donor. For these good people, following are some suggestions for "What do I say?". Suggested policy which can be used to provide essential information to donors with respect to the need to confirm specific terms and conditions of their pledges and gift commitments. This is a brief recap of the Tax Cuts and Jobs Act that was signed into law in December 2017. For those non-profits willing to invest the required effort and resources, major gifts from individual at the $10,000, $25,000 and $50,000 gift levels can help secure financial sustainability. Major Gift Contacts - Prepare Yourself! Volunteers and professionals alike, whether old hands or newcomers to fundraising, should prepare themselves prior to making personal contact with potential major donors. Prospecting is used to identify and gain significant information on individuals having both the potential interest and financial ability to contribute. 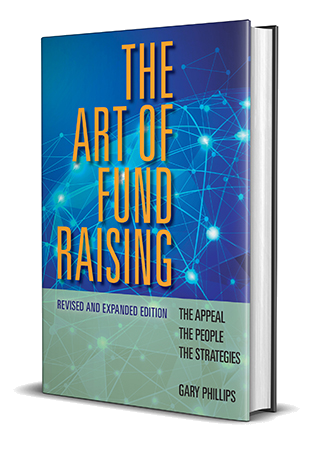 Effective fundraising is not the art of asking; it's the art of Engagement. 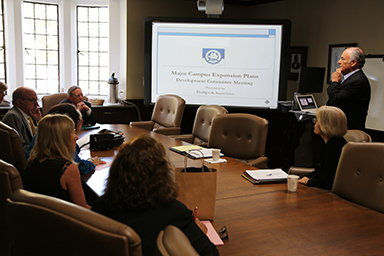 Being mindful of the needs of your major donors and top volunteers.